The present paper investigated whether academic psychologists show a tendency to rate the quality and appropriateness of scientific studies more favorably when results and conclusions are consistent with their own prior beliefs (i.e., confirmation bias). In an online experiment, 711 psychologists completed a questionnaire (e.g., about their belief in astrology) and evaluated research that was presented in form of a short abstract in which 40 different behaviors (e.g., alcohol consumption, willingness to share money) have been tried to be predicted. The research to be evaluated varied on three dimensions which were all manipulated between subjects: (1) the predictors of the 40 behaviors (either Big Five or astrological factors), (2) the methodological quality of the study (low, medium, high), and (3) the results and subsequent conclusion of the study (confirmation or disconfirmation of the hypotheses). Factor-analyzed scores of participants’ ratings on 8 scales, resulting in 2 factors termed quality and appropriateness, served as dependent measures. The main result of the study is a two-way interaction: Psychologists tended to evaluate results qualitatively higher when they conformed to their own prior expectations, as in this case, when astrological hypotheses were disconfirmed. The purpose of this study is to evaluate the relative contributions of astrological determinants and astrological facets to the prediction of behavior. The authors compared five major astrological factors (sun sign, Ascendent, Medium Coeli, planets and major aspects) with five unfamiliar facets of astrology (minor aspects, lunar nodes, Asteroids, Uranian planets, Arabic parts) that constitute the astrological horoscope on their ability to predict 40 behavior criteria (e.g., alcohol consumption, willingness to share money). Both the major factors and the unfamiliar facets (the number of unfamiliar facet predictors was limited to the number of the major predictors) predicted no substantial numbers of criteria. Method: A total of 187 subjects (97 female and 90 male university students with a mean age of 20.8) completed a questionnaire indicating their birth date, time and location of birth and a behavioral report form. As mentioned, this study compares the major astrological factors with unfamiliar facets of astrology in terms of their criterion predictability. For each subject a horoscope was calculated and 3 astrologers rated them separately for any astrological factor and facet in the 40 behavior criteria. The five major astrological factors do not account for a substantial amount of variation in human behavior. Astrological interpretations of these factors, therefore, may be useful tools for predicting and understanding behavior, but the few previous positive findings in this area are not supported in this study. There is also no reliable astrological based variation in behavior that can be traced back to the unfamiliar aspects of astrology. Additional research in this area does not appear to be fruitful. Method: A total of 47 undergraduate university students completed a questionnaire indicating their birth date, time and location of birth and a behavior report form. As mentioned, this study compares the major astrological factors with five unfamiliar facets of astrology in terms of their criterion predictability. An astrologer was asked to rate the expected association between the diverse unfamiliar astrological facets and the criteria, and then chose the highest rated facets as predictors of each criterion. For each subject a horoscope was calculated and an astrologer rated them separately for any astrological factor and facet in the 40 behavior criteria. The purpose of this study is to evaluate the relative contributions of astrological determinants to the prediction of behavior. The authors examined five coefficients of astrological factors (sun sign, Ascendent, Medium Coeli, planets and major aspects) on their ability to predict 40 behavior criteria (e.g., alcohol consumption, willingness to share money). The astrological personality factors predicted no substantial numbers of criteria. Method: A total of 27 undergraduate university students completed a questionnaire indicating their birth date, time and location of birth and a behavior report form. For each subject a Horoscope was calculated and an astrologer rated them separately for any astrological factor in the 40 behavior criteria. Results: Correlations were computed with each coefficient of astrological factors to predict each of the 40 behavior criteria. These astrological predictors were able to account for significant amounts of variance in only 2 of the 40 criterion variables. These behavior criteria were: Parties attended with sun sign, r = .29; p < .05; and dieting behavior with major aspects, r = .24; p < .05. The five major astrological factors do not account for a substantial amount of variation in human behavior. Astrological interpretations of these factors are no useful tools for predicting and understanding behavior. Additional research in this area does not appear to be fruitful. The purpose of this study is to evaluate the relative contributions of astrological determinants and astrological facets to the prediction of behavior. The authors compared five major astrological factors (sun sign, Ascendent, Medium Coeli, planets and major aspects) with five unfamiliar facets of astrology (minor aspects, lunar nodes, Asteroids, Uranian planets, Arabic parts) that constitute the astrological horoscope on their ability to predict 40 behavior criteria (e.g., alcohol consumption, willingness to share money). Both the major factors and the unfamiliar facets predicted substantial numbers of criteria, but the latter did noticeably better in that regard. Moreover, the criterion variance accounted for by the unfamiliar astrological facets often included large portions not predicted by the major astrological factors. The unfamiliar facets, therefore, were able to substantially increase the maximum prediction achieved by the major factors. The results of this study are interpreted as supporting a more detailed approach to astrological assessment, one that goes beyond the interpretation of the major factors alone. The five major astrological factors account for a substantial amount of variation in human behavior. Astrological interpretations of these factors, therefore, can be useful tools for predicting and understanding behavior. But there is also reliable astrological based variation in behavior that is not accounted for by the major factors. This additional variation is evident in the specific variance residing. Additional research in this area appears to be fruitful. The purpose of this study is to evaluate the relative contributions of astrological determinants and astrological facets to the prediction of behavior. The authors compared five major astrological factors (sun sign, Ascendent, Medium Coeli, planets and major aspects) with five unfamiliar facets of astrology (minor aspects, lunar nodes, Asteroids, Uranian planets, Arabic parts) that constitute the astrological horoscope on their ability to predict 40 behavior criteria (e.g., alcohol consumption, willingness to share money). Both the major factors and the unfamiliar facets predicted substantial numbers of criteria, but the latter did noticeably better in that regard, even when the number of unfamiliar facet predictors was limited to the number of the major predictors. Moreover, the criterion variance accounted for by the unfamiliar astrological facets often included large portions not predicted by the major astrological factors. The unfamiliar facets, therefore, were able to substantially increase the maximum prediction achieved by the major astrological factors. The results of this study are interpreted as supporting a more detailed approach to astrological assessment, one that goes beyond the interpretation of the major factors alone. Method: A total of 47 undergraduate university students completed a questionnaire indicating their birth date, time and location of birth and a behavior report form. As mentioned, this study compares the major astrological factors with five more unfamiliar facets of astrology in terms of their criterion predictability. An astrologer was asked to rate the expected association between the diverse unfamiliar astrological facets and the criteria, and then chose the highest rated facets as our predictors of each criterion. For each subject a horoscope was calculated and an astrologer rated them separately for any astrological factor and facet in the 40 behavior criteria. The five major astrological factors account for a substantial amount of variation in human behavior. Astrological interpretations of these factors, therefore, can be useful tools for predicting and understanding behavior. But there is also reliable astrological based variation in behavior that is not accounted for by the major factors. That additional variation is evident in the specific variance residing. Additional research in this area appears to be fruitful. The purpose of this is to evaluate the relative contributions of astrological determinants to the prediction of behavior. The authors examined five coefficients of astrological factors (sun sign, Ascendent, Medium Coeli, planets and major aspects) on their ability to predict 40 behavior criteria (e.g., alcohol consumption, willingness to share money). The astrological personality factors predicted substantial numbers of criteria. Method: A total of 27 undergraduate university students completed a questionnaire indicating their birth date, time and location of birth and a behavior report form. For each subject a Horoscope was conducted and an astrologer rated them separately for any astrological factor in the 40 behavior criteria. Results: Correlations were computed with each coefficient of the astrological factors to predict each of the 40 behavior criteria. These astrological predictors were able to account for significant amounts of variance in 15 of the 40 criterion variables. These behavior criteria were for example: Parties attended with sun sign, r = .41, p < .01; Dieting behavior with major aspects, r = .38, p < .01; Fraternity interest with Ascendent, r = .31, p < .01; Participation in sports with planets, r = .27, p < .05; Alcohol consumption with sun sign, r = .27, p<.05; Willingness to share money with major aspects, r = .25, p < .05; Playing musical instruments with sun sign, r = .23, p < .05. The five major astrological factors account for a substantial amount of variation in human behavior. Astrological interpretations of these factors, therefore, can be useful tools for predicting and understanding behavior. Additional research in this area appears to be fruitful. The purpose of this study is to evaluate the relative contributions of personality factors and personality facets to the prediction of behavior. 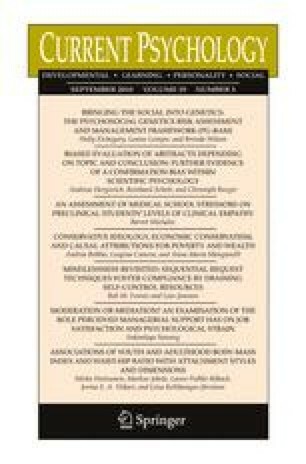 The authors compared the Big Five factors of personality (Extraversion, Agreeableness, Conscientiousness, Neuroticism, and Openness to Experience) with the facets or traits of personality that constitute those factors on their ability to predict 40 behavior criteria (e.g., alcohol consumption, willingness to share money). Both the broad factors and the narrow facets (the number of the narrow facet predictors was limited to the number of the broad factors) predicted no substantial numbers of criteria. Method: A total of 187 subjects (97 female and 90 male university students with a mean age of 20.8) completed a set of self-report measures of personality (NEO-PI-R) and a behavioral report form. As mentioned, this study compares the Big Five Personality factors with five facets of those factors in terms of their criterion predictability. Judges were asked to rate the expected association between the diverse personality traits or facets and the criteria, and then the authors chose the five highest rated facets as predictors of each criterion. The Big Five factors of Personality do not account for a substantial amount of variation in human behavior. Measures of these factors may be useful tools for predicting and understanding behavior, but previous findings in this area are not supported in this study. There is also no reliable personality based variation in behavior that is not accounted for by the Big Five. Additional research in this area does not appear to be fruitful. Method: A total of 47 undergraduate university students completed a set of self-report measures of personality (NEO-PI-R) and a behavior report form. As mentioned, this study compares the Big Five Personality factors with five facets of those factors in terms of their criterion predictability. The authors rated the expected association between the diverse personality traits or facets and the criteria, and then chose the highest rated facets as the predictors of each criterion. The purpose of this study is to evaluate the relative contributions of personality factors to the prediction of behavior. The authors examined the Big Five Factors of personality (Extraversion, Agreeableness, Conscientiousness, Neuroticism, and Openness to Experience) on their ability to predict 40 behavior criteria (e.g., alcohol consumption, willingness to share money). The Big Five personality factors predicted no substantial numbers of criteria. Method: A total of 27 undergraduate university students completed a set of self-report measures of personality (NEO-PI-R) and a behavior report form. Results: Correlations were computed with any of the five NEO-PI-R factor scales to predict each of the 40 behavior criteria. These Big Five factor predictors were able to account for significant amounts of variance in only 2 of the 40 criterion variables. These behavior criteria were: Parties attended with extraversion, r = .29; p < .05; and Dieting behavior with neuroticism, r = .24; p < .05. The Big Five factors of Personality do not account for a substantial amount of variation in human behavior. Measures of these factors may be useful tools for predicting and understanding behavior, but previous findings in this area are not supported in this study. Additional research in this area does not appear to be fruitful. The purpose of this study is to evaluate the relative contributions of personality factors and personality facets to the prediction of behavior. The authors compared the Big Five factors of personality (Extraversion, Agreeableness, Conscientiousness, Neuroticism, and Openness to Experience) with the facets or traits of personality that constitute those factors on their ability to predict 40 behavior criteria (e.g., alcohol consumption, willingness to share money). Both the broad factors and the narrow facets predicted substantial numbers of criteria, but the latter did noticeably better in that regard, even when the number of facet predictors was limited to the number of factor predictors. Moreover, the criterion variance accounted for by the personality facets often included large portions not predicted by the personality factors. The narrow facets, therefore, were able to substantially increase the maximum prediction achieved by the broad factors. The results of this study are interpreted as supporting a more detailed approach to personality assessment, one that goes beyond the measurement of the Big Five factors alone. The Big Five factors of Personality account for a substantial amount of variation in human behavior. Measures of these factors, therefore, can be useful tools for predicting and understanding behavior. But there is also reliable personality based variation in behavior that is not accounted for by the Big Five. This additional variation is evident in the specific variance residing. Additional research in this area appears to be fruitful. Method: A total of 47 undergraduate university students completed a set of self-report measures of personality (NEO-PI-R) and a behavioral report form. As mentioned, this study compares the Big Five Personality factors with five facets of those factors in terms of their criterion predictability. The authors rated the expected association between the diverse personality traits or facets and the criteria, and then chose the five highest rated facets as the predictors of each criterion. The purpose of this study is to evaluate the relative contributions of personality factors to the prediction of behavior. The authors examined the Big Five Factors of personality (Extraversion, Agreeableness, Conscientiousness, Neuroticism, and Openness to Experience) on their ability to predict 40 behavior criteria (e.g., alcohol consumption, willingness to share money). The Big Five personality factors predicted substantial numbers of criteria. Method: A total of 27 undergraduate university students completed a set of self-report measures of personality (NEO-PI-R) and a behavioral report form. Results: Correlations were computed with any of the five NEO-PI-R factor scales to predict each of the 40 behavior criteria. These Big Five factor predictors were able to account for significant amounts of variance in 15 of the 40 criterion variables. These behavior criteria were for example: Parties attended with extraversion, r = .41, p < .01; Dieting behavior with neuroticism, r = .38, p < .01; Fraternity interest with extraversion, r = .31, p < .01; Participation in sports with openness to experience, r = .27, p < .05; Alcohol consumption with extraversion, r = .27, p < .05; Willingness to share money with agreeableness, r = .25, p < .05; Playing musical instruments with conscientiousness, r = .23, p < .05. The Big Five factors of Personality account for a substantial amount of variation in human behavior. Measures of these factors, therefore, can be useful tools for predicting and understanding behavior. Additional research in this area appears to be fruitful.